Designed in 1897, Historic Pleasant Home is a beautiful and unique venue for intimate events. From a summer brunch reception on the expansive front porch, to an elegant evening cocktail party inside the mansion, Pleasant Home is the perfect setting for your celebration. A National Historic Landmark, Pleasant Home is an architectural gem that showcases 19th century craftsmanship and artistry. 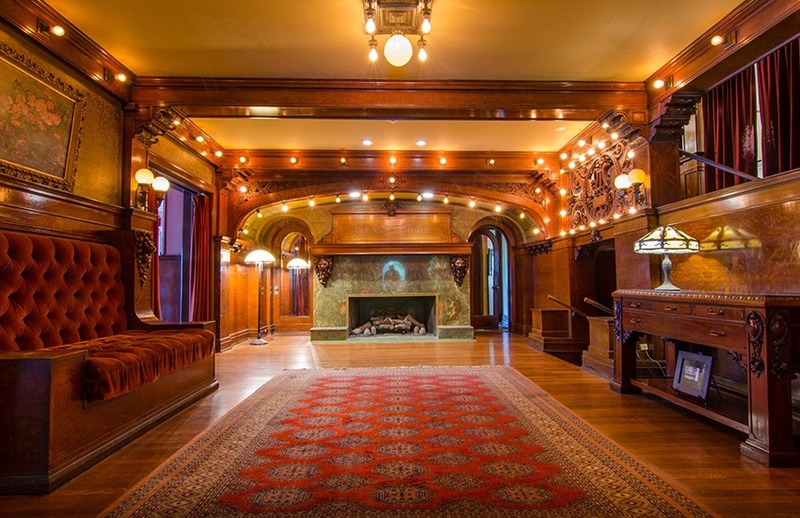 You and your guests will be surrounded by rich custom woodwork, extraordinary art glass windows, intricate woodcarvings, and the glowing warmth of light from another era. The original owner of Pleasant Home, John Farson, had a reputation for opening his doors to everyone and we would like to continue that tradition.